Product prices and availability are accurate as of 2019-04-18 00:16:14 UTC and are subject to change. Any price and availability information displayed on http://www.amazon.com/ at the time of purchase will apply to the purchase of this product. Designed to fit between the driver and captain's seats in today's minivans and SUVs, the Koolatron 18 qt. Compact Cooler is truly ready for travel. 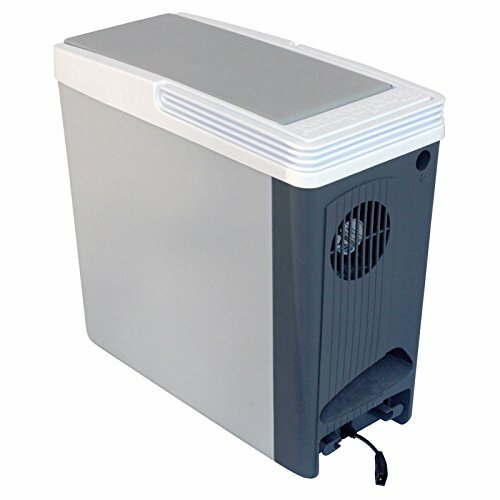 This slim electric cooler is powered by the 12V cigarette lighter outlet in any vehicle, and provides sealed cooling for up to 23 12-ounce cans. It also boasts a latchless opener for one-handed opening, easy carry handle, and rugged body design. Koolatron is a Canadian company with headquarters in Brantford, Ontario, a branch office in Orlando, Florida, and warehouse locations in Batavia, New York and in Rochester, Kent in the United Kingdom. Your satisfaction is important to Koolatron, and they value your trust. That's why they're committed to providing quality products and supporting every product they provide. 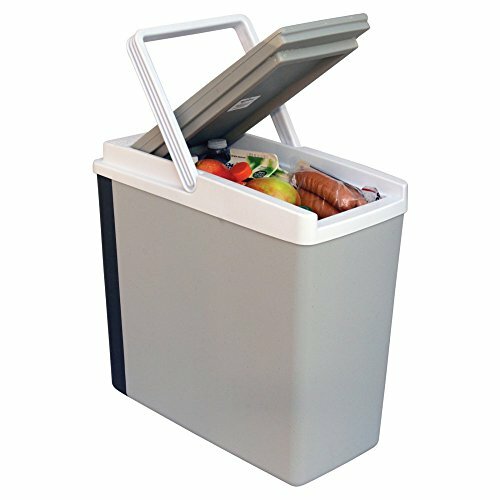 Auto-powered electric cooler for food on the go. Slim profile fits between van and SUV seats. Latchless lid effortless one-handed access. Unique cord wrap, lighter storage spot, and interior fan. Handle swings up for easy carrying. Cools up to 40° below air temperature. Holds up to 23 12-ounce cans. Dimensions: 17.5W x 8.5D x 16.25H inches.